If your goal is to shoot big bucks, you have to pass on younger bucks. In many states, filling a buck tag essentially puts an end to any opportunity of taking another buck that season. As a land manager, shooting young bucks does even more damage. The 2 1/2 year old buck you shoot today will never become a 3 1/2 year old. Some hunters aren't concerned with shooting a 4 1/2 or 5 1/2 year old buck and that's ok. You should set goals for yourself without pressure from outside influence. People who are just getting started in hunting may be more than happy with a 2 1/2 year old buck. If the deer is legal and they want to shoot it, more power to them. For those who have a few kills under their belt and want to kill more mature deer, learning to age whitetails on the hoof is a vital skill. It's important to realize that these descriptions are not foolproof. Just like people, there are different body types among deer... although I've yet to kill a morbidly obese deer. t's pretty easy to pick out a year and half old buck. They have the body structure of your average 12 year old boy. They're gangly and they don't have much for muscle mass. The body of a 1 1/2 year old is about the size of an average sized mature doe. Unlike older bucks, the neck of a 1 1/2 year old won't bulge during the rut. The easiest way to know you're looking at a young buck is the antlers. A 1 1/2 year old buck usually has spikes or forks. Where nutrition is optimal, yearling bucks may even sport six or eight point racks but they are usually well inside the ears. Think of a 2 1/2 year old buck as an 18 year old boy. You're starting to see some muscle structure but the buck will still have an athletic look to him. His legs will appear long. A 2 1/2 year old buck will be about the same size as the largest does in your area. Antlers will be larger than yearlings and most 2 1/2 year olds will have at least four points on each side. A good way to spot a 2 1/2 year old is the bases of his antlers will be smaller than his eye sockets. Once a buck reaches this age it's more difficult to field judge them compared to older bucks. 3 1/2 year olds have larger bodies and have many of the same features of a more mature buck. Think of this age class as a man in his late 20s. The best way to pick out a 3 1/2 year old is to look at the point where his neck and shoulder meet. You'll still see a line there and he'll probably still sport a lean belly section, especially during and after the rut. When it comes to antlers, a 3 1/2 year old is typically well outside the ears and at the point where most hunters will shoot. But if you're looking for a book buck, shooting a 3 1/2 year old probably isn't going to help you reach your goals. At this age a buck's body will be about as big as it will ever be. The point where the neck and shoulder meet will be unnoticeable. Where the chest meets the belly will also tend to be seamless. A 4 1/2 year old buck's body is nearly at capacity and so is his antlers. Most bucks at this age have hit about 90% of their full antler potential. The antler bases of a 4 1/2 year old buck are larger than the eye sockets. Many deer hunters will never see a buck this old. Not many survive to this age and those that do usually steer clear of hunters. At this age you will definitely notice a sag in the belly and back of a buck. The snout is typically elongated and the antlers have reached full potential. You won't find many hunters who pass up deer in this age class. 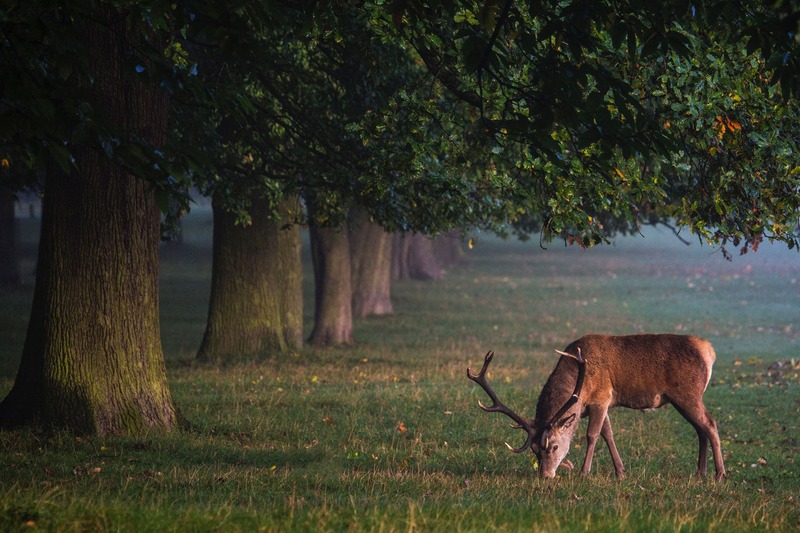 Once a buck reaches 7 or 8 years old, he essentially becomes a senior citizen. Skin will start to sag and he'll become more susceptible to disease, especially in colder climates. Again, these are meant to be guidelines. Most of these observations are made in the Midwest where food sources and genetics are very good. In other places, deer may be a year behind.